In early December of 2015, a group from the Greenside Recreational team headed down to Olympia, WA to visit Doc Croc. Typically I would refer to a marijuana grow as a farm. But this felt like more like a forest. Or maybe ‘bush’ as our guide Brett would call it. These fellas from down under know how to grow them fat, utilizing ever square inch of space. Doc Croc is one of our favorite growers here at Greenside Recreational. They’re a little different than a lot of the growers we work with. This is part of the reason we like them. For starters, they’re Australian. Here in America we think of Australia as a cool version of America in the Southern hemisphere. While this may be true on many levels, one thing that separates us distinctly is our views on cannabis cultivation. Down Under it is still very illegal. 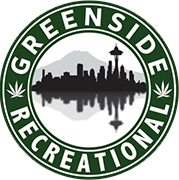 We’re quite happy to have our cannabis refugee friends here in the states producing some of the most amazing weed you’re going to find anywhere. Another thing that sets them apart is they exclusively grow hydroponic. Most of you know what this means, but if you don’t, it essentially means they grow in soil-less pots using just water and nutrients. This creates a distinctively high quality product when done correctly. And these guys are setting the standard for doing it correctly. This visit we were joined by Russ. Russ is part of the backbone of the Greenside inventory team. Joining me on this and all tours was Greenside’s marketing director Rik. Lost in the jungle is our social media extraordinaire Ariel. Here is a beautiful slab of shatter. I told them it was my birthday and they still didn’t let me have it. But I was very happy these kind folks invited us into their beautiful grow. We look forward to what Doc Croc has in store for the future.